I remember I used to wear these type of bracelets when I was younger, usually as a friendship bracelet or something.... of course as kids, the bracelets we made was not sturdy at all, and looks very damaged very quickly. 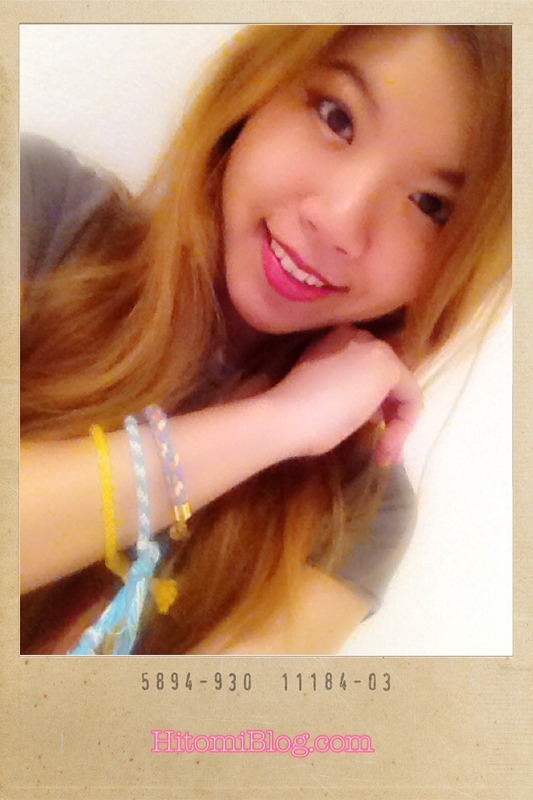 But these bracelets were given to me by Mel from Epic Stitching . 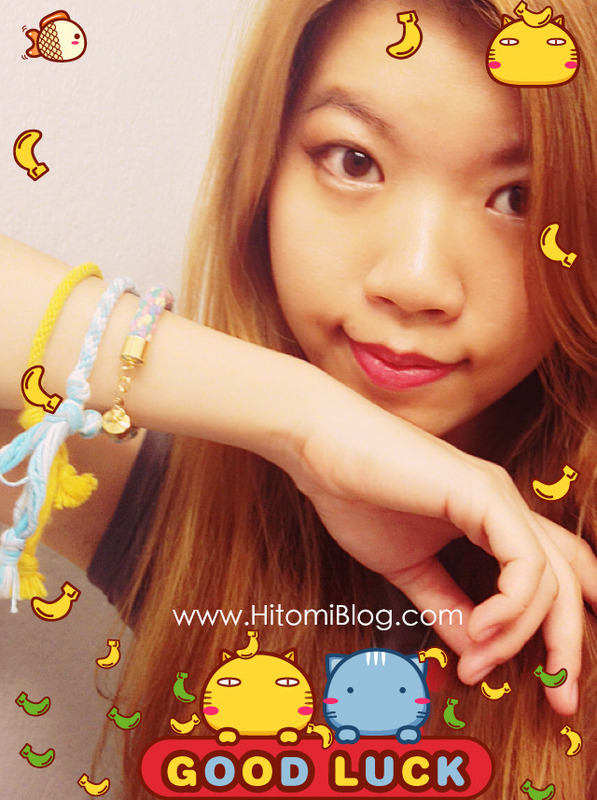 Her handmade bracelets are sturdy and endures water! As long you don’t try to stretch the bracelets while it is wet, the bracelet should return into original state once it’s dried. Especially with the rainbow one, it is made with baby friendly yarn, so it’s super safe! I custom requested for the bracelet to be bolder, because that’s more of my style! It is also made according to my size, which is 7 inches because I don’t like the bracelet right at my wrist. As you can see in the photo, the rainbow one is twice as thick as the others. The yellow one is regular thickness with regular yarn, while the blue one is regular thickness with hand dye yarn! The reason why Mel started her shop is because she is allergic to metal and could not wear most accessories out there. In her shop, everything is metal free, except the optional slipknot clasp. Other options for clasp comes in bronze, copper, gold, gunmetal ( black silver/ basic silver). She’s also working on plastic buttons right now as an alternative closure. You might have to be careful when you order any hand-dyed bracelets, the color might fade. However, I been pretty careful with them and my bracelets still look as new! 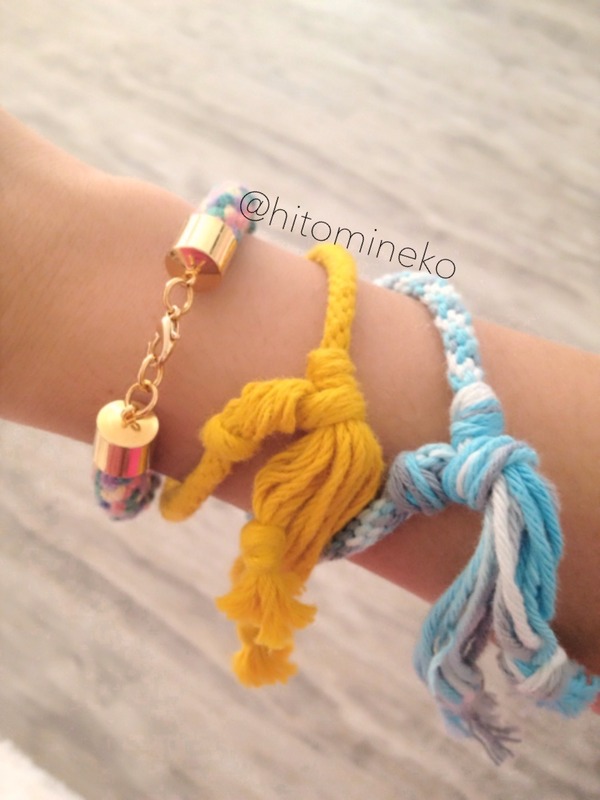 Which one of my bracelet do you like the most? Personally I like the rainbow one the most, because it is thicker with the shiny slipknot clasp.... Luckily I am not allergic to metal ! If you are allergic to common accessories or if you simply like to try out Mel’s handmade accessories... here is your chance to win some! Fill out the form below to join the giveaway, win $25 store credits and FREE shipping all over the world! By the way: Everything is optional, BUT, you do have to join at least one of the epic stitching options in order to qualify! Of course, the more you join, the more chance you get to win! EDIT: Congrats on the Winner! Epic Stitching will contact you directly via Email.